The WA Police Force recognise community and cultural diversity as an enriching and fundamental feature of our society and is committed to providing effective policing services that are accessible, culturally appropriate, and equally responsive to all communities of Western Australia. The implementation of a service delivery model based on current policy that identifies, addresses, and discourages any expression of racist behaviour and/or discrimination by any of its members. The WA Police Force rely on community confidence to do their work. Developing trust and confidence is a key priority for the WA Police Force. In delivering our services, we will endeavour to build the trust of those seeking assistance; trust in the quality of the service, in being treated well, and having issues taken seriously. WA Police and Aboriginal and Community Diversity Unit coordinates information, programs, and advice on Aboriginal, multicultural and community diversity issues impacting on WA Police. The WA Police Force adheres to the WA Government Charter of Multiculturalism which is committed to the principles of multiculturalism and based on democracy, equality and respect for all members of the WA community. 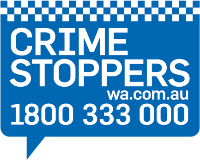 The WA Police Force actively supports and promotes the reporting of crime committed against people who identify with the diverse sexuality and/or gender (DSG) community. The WA Police Force is committed to ensuring people with disability, their families and carers are able to fully access departmental services and facilities. The WA Police Force is committed to ensuring seniors, their families and carers are able to fully access departmental services and facilities.